You must apply for a NH driver's license in person at a DMV office. You will need to pass the written, driving, and vision exams. There are some documents you will need to provide to prove your identity and NH residency, and you're required to pay the $50 fee. 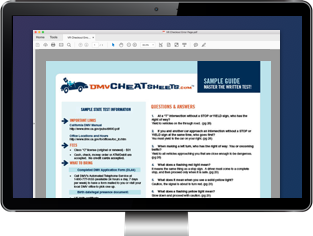 This page will show you how to obtain your driver's license from the New Hampshire Division of Motor Vehicles (DMV). NOTE: If you're younger than 18 years old, please follow the instructions on our Applying for a New License (Teen Drivers) page. If you need a commercial driver's license (CDL), please visit our Applying for a New CDL page. You must relinquish your valid out-of-state driver's license and apply for a new NH driver's license within 60 days of moving to New Hampshire. Visit your nearest NH DMV. Hand over your old driver's license. Provide a secondary proof of identity. Your valid out-of state license acts as the first proof. See below for a full list of acceptable documents. Provide proof of New Hampshire residency no older than 60 days. Be prepared to pass the knowledge test IF your out-of-state license is expired. Submit the Application for Driver's License or Non-Driver ID Card (Form DSMV450). MasterCard, VISA, and American Express credit cards. Personal checks, money orders, and traveler's checks made payable to the “State of NH DMV." You'll receive a temporary license that is good for 60 days while you wait for your permanent license to arrive in the mail. You'll receive a Youth Operator license if you're under 21 years old. This license will expire on your 21st birthday, at which point you'll renew for a full Class D license. New Hampshire's Class D driver's license allows you to operate regular passenger cars and trucks. We've outlined the application process below. Youth Operator licenses are issued to drivers younger than 21 years old. See below for details. Find out New Hampshire's requirements for applicants younger than 18 years old, including Driver's Ed and driver permits. Learn how to get a NH motorcycle license, or a motorcycle endorsement on your current driver's license. You must follow state and federal regulations to obtain a NH commercial driver's license (CDL). Each resident and non-citizen must hold a valid NH driver's license to legally drive on public roads. New residents who've been in the state for fewer than 60 days. Non-residents with valid out-of-state driver's licenses. You must drive only the vehicle class your license designates. Out-of-state students enrolled in NH schools, colleges, or universities who hold valid licenses from their home states. Military members and dependents with valid out-of-state licenses. Foreign tourists with valid out-of-state licenses AND international licenses issued by their home countries. If you're younger than 18 years old, you'll get a Class D license after working your way through the state's driver's education and driver permit requirements. Read more at our Teen Licensing section. NOTE: Even if you have a valid out-of-state license, you cannot drive in this state if your NH driving privileges are suspended or revoked. Present 1 document proving your Social Security Number. Present proof of NH residency (e.g., mortgage statement, properly signed lease or rental agreement, etc.). Provide proof of any legal name change (e.g., marriage certificate or divorce decree). If applicable, provide all required documents as outlined for non-citizens. Provide the Application for Driver's License or Non-Driver ID Card (Form DSMV450). If you fail, you must visit an optometrist and, with your doctor, complete the Eye Examination (Form DSMV 61). You do not need an appointment; tests are administered until 3:30 p.m.
You must pass with 80%. If you fail, you must wait 10 calendar days before retesting. Once you pass the written knowledge test, you can make an appointment for the driving test; in most cases, you cannot take both tests on the same day. If you want to pass the written exam you can always study the 104 page New Hampshire Driver Manual. Sound like fun? Our suggestion is to study with an online practice test from our certified partner. Bring a properly titled, registered, and inspected vehicle that falls under the same class of license for which you're applying. Have a licensed driver bring you to and from the exam site. You'll receive a temporary paper license good for 60 days. You'll receive your permanent Class D license by mail within that time period. You can retake it in 10 calendar days. You must notify the DMV within 24 hours if you need to reschedule the re-examination. You must wait 30 days if you fail to notify the DMV. 3rd offenseand subsequent offenses: 90 days. Also, you might be required to purchase SR-22 insurance if you get 2 speeding tickets or more within 2 years of getting your Youth Operator license. You'll keep this insurance for 3 years after the date of your 2nd hearing. Your Youth Operator license expires when you turn 21 years old; when you apply for your license renewal, you'll receive a regular Class D driver's license. Your application process for a New Hampshire driver's license is the same as explained above; however, there are a few extra requirements. Have a valid visa or permanent resident card. Are a refugee or asylee. Hold an employment authorization card (EAD). * Depending on your status, you may be able to make future applications and transactions at your local NH DMV. Required documentation to apply for a new NH driver's license will vary based on your status in the United States. Immigration status (e.g., permanent resident card, I-95 resident departure card, or your employment authorization card). Proof you've completed the vision, knowledge, and road tests OR an out-of-country license exempting you (see “New Hampshire Driver's License Testing" below). Residency (e.g., vehicle title or registration, lease or rental agreement, payroll document, etc.). Lutheran Services: You may bring residency documents from your assisting agency. Social Security information (if you're eligible to work) OR a letter of ineligibility from the SSA. Employment, with a letter from your employer on company letterhead dated within 60 days prior to license application. Spouse or dependent of someone with a visa for the above. I-94 with at least 2 months remaining. I-20, if you're an F-1 visa holder or dependent. 2019, if you're a J-1 holder or dependent. Include a current employment letter on company letter head, dated within 60 days of application, with your name and the names of any dependents. Your out-of-country license, if applicable. See “New Hampshire Driver's License Testing" below for possible testing exemptions or requirements. Proof of residency (e.g., vehicle title or registration, lease or rental agreement, payroll document, etc.). You also may be required to provide a copy of your driving record. Please call the New Hampshire DOS at (603) 227-4000 with any questions about getting a new New Hampshire driver's license as a non-citizen.